I live in a 1000sqft apartment, and it is designed in a linear manner. This means that my WiFi router placed at one end is unable to reach the bedroom at the other end. I had been using a powerline adapter for years. Short of placing physical cables, HomePlug Powerline is the next best thing. Recently, my adapter malfunctioned, causing connectivity issues. Hence I started my hunt for a replacement. As of last year, WiFi Mesh has become a thing. Unfortunately, Wifi Mesh systems are exorbitantly expensive. Average prices for a WiFi Mesh system on Amazon are USD200 onwards. In Singapore, WiFi Mesh systems cost over USD400. I love hunting for good technology at low prices, so I started my research. The only cheap option available in Singapore is the EnGenius EnMesh system, costing about USD250. I checked Amazon and found the system going for USD175. Then I found other cheap WiFi Mesh systems as well. Tenda Nova M6 at USD150, and the Luma system at USD140 (after a recent price cut). Seeing a Chinese brand, Tenda, led me to Taobao. There, I found an even cheaper option, the Huawei Honor Mesh Router (华为分布式路由器) going for a mere USD120. At this price, the WiFi Mesh is definitely more attractive than getting a new set of powerline adapters. After (agent and shipping) fees, I paid approximately USD150. Briefly, there are four options to extend WiFi coverage in a home. However, one of the key features of WiFi Mesh, is Fast Roaming and Hand-off. These are 802.11 specifications that allow APs to move clients to another AP with better signal. This is much like how cellular networks work. With my powerline adapter, it was common that when I went to the bedroom, my phone was still connected to the router in the living room, but at very low signal. The phone would have no network connectivity, and I would have to toggle the WiFi on my phone to make it connect to the AP in my room (with the same SSID). Also, there are some spots in the house where I would be connected to the WiFi with 2 bars, but network connectivity was intermittent. In theory, with WiFi Mesh, I would be blanketing the house with WiFi, and with better bandwidth. Usage of the Huawei Honor Mesh Router requires a Huawei account (called Huawei ID) that is registered for China region. In order to register a Chinese Huawei ID, you need a Chinese mobile number for verification. You also need the Huawei SmartHome app for the initial setup. However, at the time of writing, the SmartHome app on Play Store is version 9.0.0.317, which does not support the Huawei Honor Mesh Router. You need the newer version 9.0.0.321. This version is available on the Huawei App Gallery, but you need a Chinese Huawei ID to download it. Once I got the Huawei ID and correct app installed, setting up was a breeze. The app is in English. I placed the router and APs in a linear fashion, with the first AP in the first bedroom, and the second in the third bedroom. The app shows how devices are connected. Interestingly, the second AP is connected directly to the router in the living room. I would have thought it would connect to the first AP. Sometimes it does, but rarely. Most of the times, the switch between APs is seamless. I have WiFi connectivity throughout the home, and all the dead spots are gone. My phone shows 3 to 4 bars of WiFi signal wherever I go. Occasionally, my phone gets disconnected from WiFi for a short few seconds, and then reconnects back. But this is much better than having a sticky WiFi connectionat 1 bar that doesn’t work. Unfortunately, and this may be a big minus point for some, the Huawei system has poor WiFi bandwidth. As reference, these are Speedtest and FAST tests on my D-Link DIR-868L. This is connected to the Huawei main router. This is connected to the first AP. Finally, at the second AP. SmallNetBuilder reviewed the EnGenius EnMesh with performance benchmarks (against the TP-Link Deco M5 and Google Wifi) which seems to show the Huawei router is seriously under performing. The Huawei Honor Mesh Router is the cheapest WiFi Mesh system in the market, certainly for Singapore. While WiFi performance leaves a lot to be desired, in reality, even 40Mbps is enough for Netflix and Youtube video streaming in HD. And the 64Mbps FAST speed in my room is a marked improvement over the powerline adapter, which averaged 40Mbps or less, and with connectivity issues mentioned earlier. I am definitely enjoying the strong WiFi connectivity throughout my home. The Tenda Nova M6 and Luma are also strong contenders for a cheap WiFi Mesh, and are definitely reasonably priced to get started with this technology. Updated: Does an iPhone 6 charge faster with an iPad charger? In May 2014, I did a video showing that the iPhone does NOT charge faster with an iPad charger. With the iPhone 6, there are claims that it does charge faster with an iPad charger, so here’s an updated video for the iPhone 6. The claims are right. While the iPhone 6 draws ~1A from the iPhone and LG chargers, it managed to draw ~1.2 to 1.3A from the iPad and generic charger. So yes, the iPhone 6 will charge faster with an iPad charger. I was exploring a low-cost method to get mobile broadband in the car. The Huawei E122 was the cheapest 3G dongle on ebay – only USD19.99. I bought it, along with the TP-Link TL-WR703N, a compact, USB-powered router that supports 3G dongles. The E122 isn’t listed as a supported 3G modem, and it indeed isn’t supported. Now I have Wi-Fi in my car, cobbled together for under USD50. Does an iPhone charge faster with an iPad charger? Since a few years ago, I’ve been using an iPad charger to charge my iPhone. I always thought it charged faster, though I was never able to (or rather, never got around to trying to) verify it. Google gave mixed answers. Engineers and technical people said it doesn’t matter, that the iPhone will draw 1A regardless of how much current the charger is able to provide. Some people swear that their phones do charge faster. First, some background. The USB port on a computer provides 500mA, or 0.5A. A standard iPhone charger provides 1A of current, while iPad chargers provide 2.1 or 2.4A. An iPhone plugged into a computer charges slower, and this is not surprising since the phone is only able to draw half the current it can normally draw. An iPad that is plugged into a computer will not charge, and may not even maintain the battery level if the iPad is being used. This same iPad plugged into an iPhone charger (1A) will charge, but slower than if it were plugged into an iPad charger (2.1/2.4A). Then I started to wonder, if I plug an iPhone into an iPad charger, will the iPhone draw more current, and hence charge faster? Recently, I suddenly thought of testing this out, and thanks to a cheap USB power meter, I was able to run a simple experiment. It turns out, my perception of charging times was wrong! The iPhone draws 1A current from both chargers. While randomly pugging the meter around, I seemed to notice that the USB cables seem to affect current draw as well. Perhaps if there’s interest, I can run another experiment on cables. I wanted to extend the Wi-Fi range by using my D-Link DIR-600 Rev. 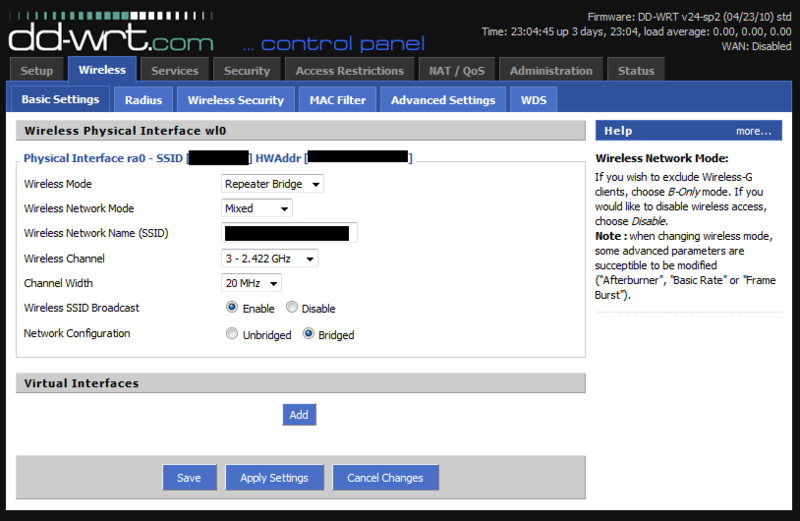 B. DD-WRT allows configuring a repeater bridge. This seamlessly links up two routers wirelessly. The repeater bridge is especially useful because the second router allows both wired and wireless connections. Thankfully, repeater bridge is supported on DD-WRT on the DIR-600. I followed the instructions on the DD-WRT wiki, but kept encountering problems. After following through the instructions and applying the settings, I would see two SSIDs broadcasting from the router, and any device connected to the second router could not reach the first router. In addition, the network connections would drop intermittently. After much trial and error, flashing different versions, and searching the Internet, I realised what the problem was! It was from adding the virtual interface! I re-setup the router, this time omitting the step to add the virtual interface, and everything worked perfectly! My DIR-600 works like a proper repeater, and wireless devices would seamlessly roam across the routers depending on the signal strength. Job well done! Here are the steps I did (adapted from the DD-WRT Wiki). My primary router is configured with WPA2 AES. The secondary router is running DD-WRT build 14311. The latest build in the DD-WRT router database, build 14896, is buggy. 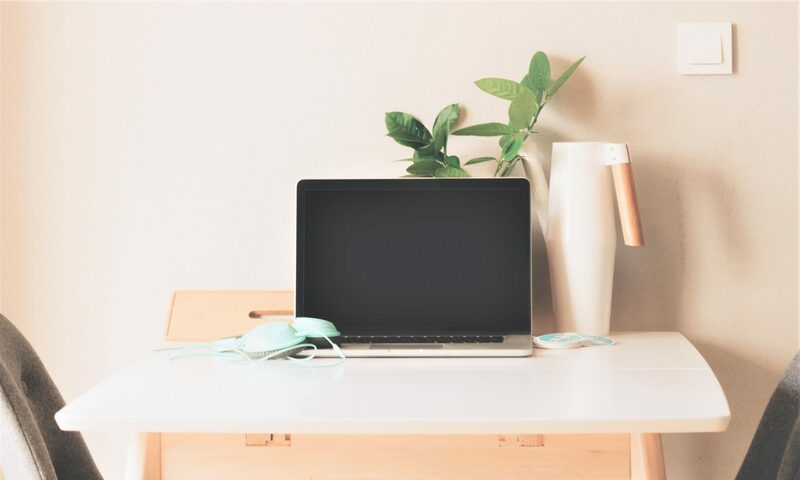 Connect your computer to the secondary router via wired LAN port. Open the address http://192.168.1.1 in your web browser. Newer versions of DD-WRT will require you to set a password before you can continue. Assign WAN Port to Switch : Optionally enable this to use the WAN port as another LAN port.